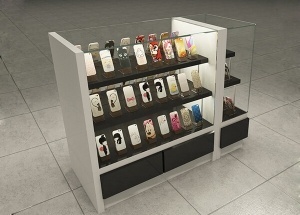 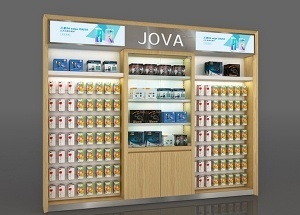 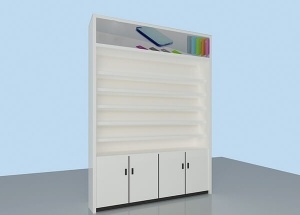 This wall wooden display cabinets can be made with glass doors.It is used to display digital product, phone, camera, cigarette in the shops. 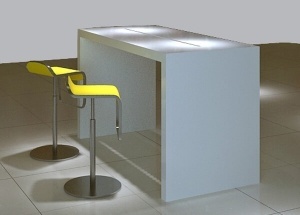 It'is made by wooden(MDF), LED lights, etc. 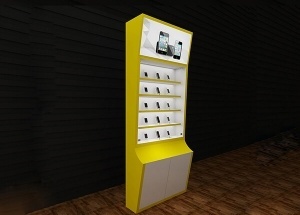 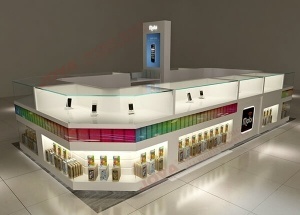 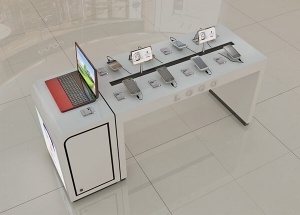 This mobile phone store design was for a phone kiosk project. 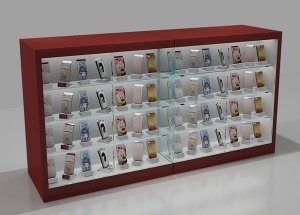 We are phone showcase manufacturers from China, offer free phone kiosk design, and manufacturing the iphone store display. 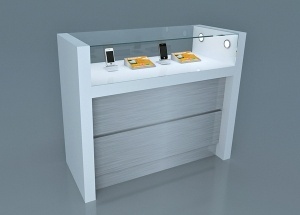 This wooden display stand can be used to display mobile phone, camera, table computer, ipad in the shops.